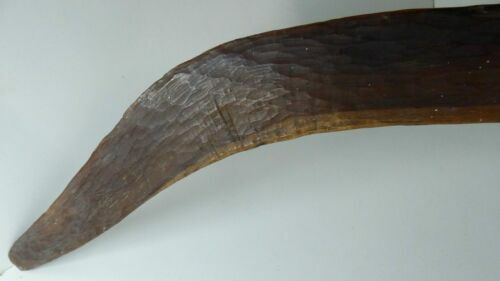 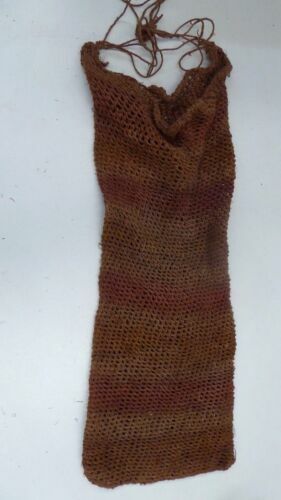 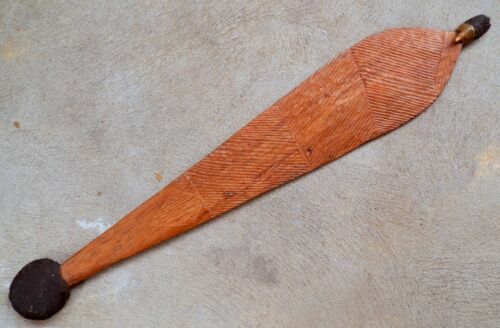 ABORIGINAL - 19THC QLD HUNTING BOOMERANG. 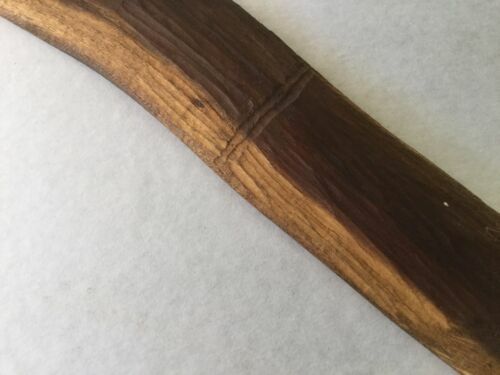 ABORIGINAL - EARLY SPEAR THROWER - NORTHERN TERRITORY. 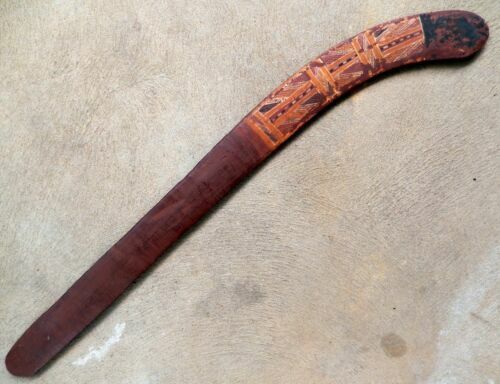 Australian Aboriginal sword club, message / songlines? 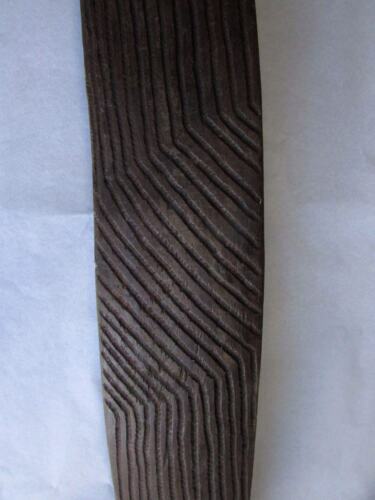 Papua New Guinea Old Shoulder Shield Wood PNG, Madnag Province. 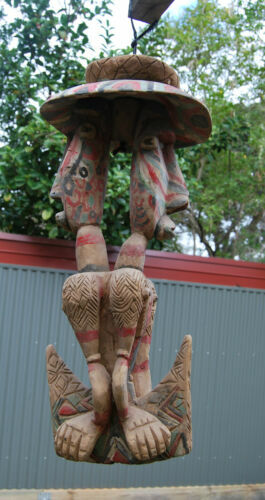 ABORIGINAL - PAIR Of EARLY MOURNING RINGS - TIWI.